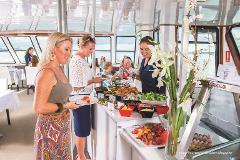 This Dinner Cruise showcases spectacular sunset views over Darwin harbour whilst guests enjoy a delicious Territory Style Buffet in air-conditioned comfort. Operates March to December. 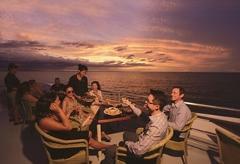 Enjoy a 2.5 hour sunset cruise aboard the 'Charles Darwin including informative commentary. Drinks and snacks can be purchased on board. Operates March to December.